Rush: If D.C. Does Not Repeal Obamacare "We Go Egypt On Obama"
RUSH LIMBAUGH: "After the election in November -- repeal Obamacare, defund it, doesn't happen. Number of other things the voters who sent all these freshman to Washington to stop, arrest, cease and desist. If it doesn't happen, we go Egypt on Obama." Maher: Why Are "Teabaggers" Upset Over Michelle Obama's Food Agenda? 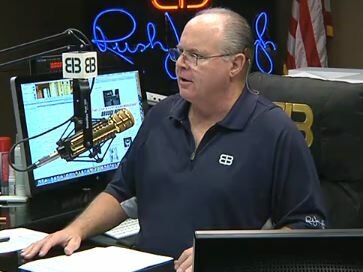 Limbaugh On SOTU: "It Was Tough To Stomach, Swallow"